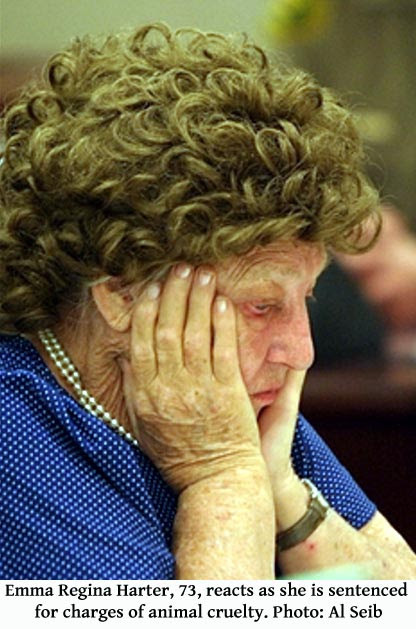 CALIFORNIA -- A 73-year-old retired school cafeteria manager convicted of felony animal cruelty for keeping more than 200 Chihuahuas at her home was ordered Friday to pay $371,090 in restitution to Los Angeles County. 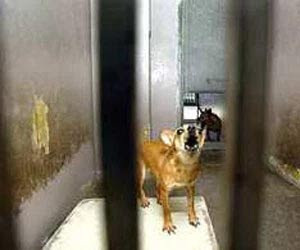 More than 95 percent of the charge is to cover what county officials said were their costs to keep the dogs at a county animal shelter between their confiscation in November 2002 from Emma Harter's Acton home and their release to a Chihuahua rescue group in August 2003. "I'm pleased it's finally resolved," Deputy District Attorney Steve Heller said. "I believe the restitution award is something the county had a right to recover, and I hope they do." Antelope Valley Superior Court Judge Lisa Chung ordered Harter to provide financial information to the county probation department, where a financial evaluator will determine how much she must pay monthly during her five-year probation, Heller said. "Whatever she can't pay when the probation ends, Animal Control could assert a civil judgment right to collect the money," Heller said. The county could pursue the funds through property liens or going after wages, Heller said. Heller said he understood that Harter and her husband also own a house in Granada Hills. Harter avoided time behind bars at her sentencing last July but was barred from owning or possessing any animals for five years. Harter has filed a lawsuit against Los Angeles County over her 2002 arrest and the search of her home. The probation sentencing report said Harter said that her animals were in "prime condition" and that she lived by the Ten Commandments and would not hurt animals. Los Angeles County animal control officers said they found dead and dying dogs among packs of half-wild Chihuahuas living inside her house. The dogs had dug burrows in the walls and furniture and formed feral packs that preyed on weaker dogs, they said. Animal Control Lt. Sheri Koenig testified at the restitution hearing Friday that 235 Chihuahuas were seized, along with 61 birds. There also were 32 dead animals, mostly dogs, she said. 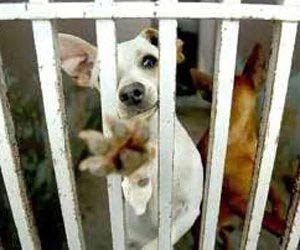 The cost of impounding a dog is $10; a dead animal, $10; and birds, $2. The county's boarding fee is $7.50 per animal per day, Koenig said. Of the 235 dogs seized, some died or had to be euthanized or were placed with other rescues, leaving the 174 that were released to a Burbank Chihuahua rescue group, Koenig said. 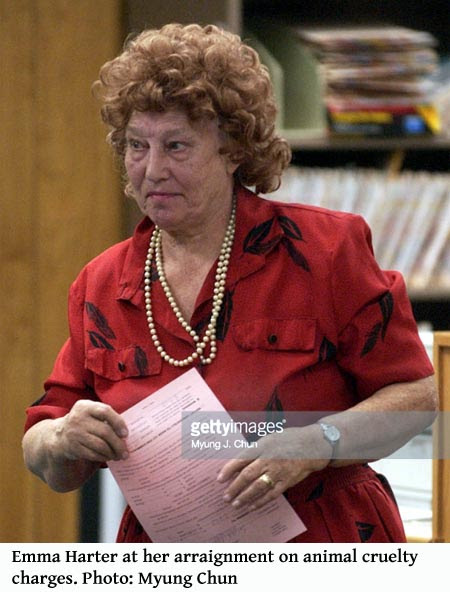 She then moved to Acton in 1992 and obtained a kennel license. 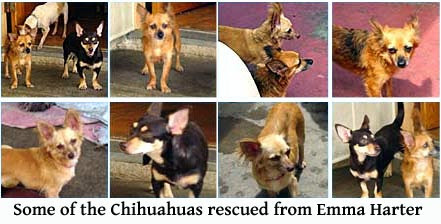 Within three years, she was caught with about 40 Chihuahuas living inside the home in squalor. Harter was convicted in 1995 for operating an illegal kennel (probably the only thing close to an animal cruelty charge - back then they didn't know how to prosecute for cruel confinement), but that conviction was overturned on appeal.